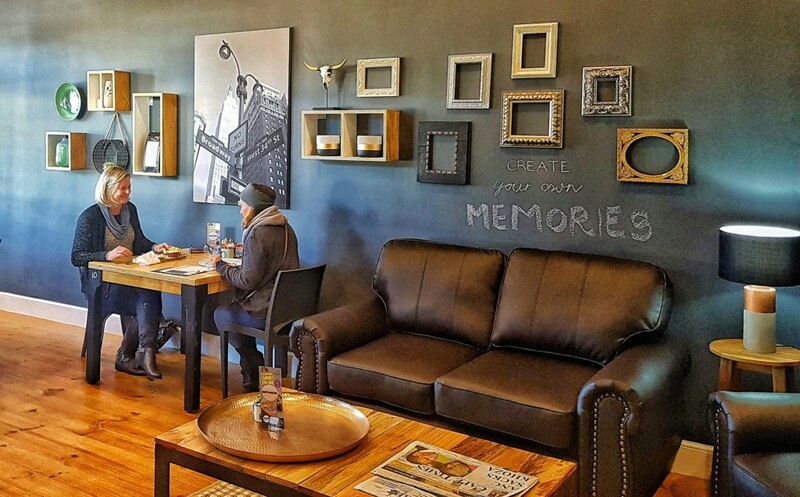 The Daily Coffee Group with its New-York-meets-Karoo décor theme has recently opened yet another coffee franchise – this time The Daily Coffee Café Middelburg in Mpumalanga – where coffee lovers can savour the ultimate in coffee. “We do not only sell coffee, we afford a warm emotion,” says Adriaan de Bruyn, CEO of The Daily Coffee Group, a truly South African business based on world-class standards. “Our coffee cafés offer seclusion for a lingering me-time breather, a homely corner to catch up with a friend, an appealing ambience for business discussions and a relaxing setting to treat the family. And we have good coffee!” De Bruyn adds. De Bruyn started his first coffee café in 2013 in Paarl. “I became frustrated with typical coffee shops which look like one another, even serving the same taste-like-one-another’s coffee. It was time to introduce something with appeal,” he says. He chose Paarl for this venture, knowing that the town has the biggest number of coffee shops per capita in the Western Cape’s Boland region. If he could succeed there, then he would succeed anywhere, was his approach. The Daily Coffee Café in Paarl soon became a destination of choice. The support was so overwhelming and the demand for similar cafés in surrounding towns so strong, that it gave De Bruyn the proverbial green light to establish The Daily Coffee Group in 2015 and to introduce 26 franchises in the little more than three years that followed. While running the initial The Daily Coffee Cafés himself, did De Bruyn not only make it a priority to personally get to know his clientele, he also created ongoing opportunities to share his coffee knowledge with his customers and, especially, to gain from feedback from them. The Group carefully selects experienced staff. Such already excellent performers, now with focused training added, perform exceptionally well right from the start. The baristas who prepare and serve the espresso-based coffees undergo extensive training under the Group’s expert corporate barista. The Daily Coffee Group does not use automatic espresso machines. De Bruyn believes that the use of manual machines allows the baristas to have better control over the preparation of the coffee and to deliver the best results. “Manually prepared coffee is the one place where humans are still able to do better than automated machines,” De Bruyn adds. “We are particularly excited about the future,” says De Bruyn. “Our dream is to grow the group at a steady pace. To get there, we’re driven by our love for coffee, a passion for people and our underlying desire to offer The Daily Coffee experience to even more and more coffee lovers.” And with an ever-growing number of The Daily Coffee franchises being established, it is clear that The Daily Coffee Group is certainly putting their money, or – even more appropriate – their cup of coffee, where their mouth is. And the next to be launched The Daily Coffee franchise – hush… rumour has it that it could even be in a quaint Karoo town – not only demonstrates the Group’s drive to grow the business, but, in a rather prophetic manner its New-York-meets-Karoo theme could in time become a reality in a remarkable way.